Clocks by Coldplay was one of my favorite tunes growing up as a kid/early teen. I always loved the piano melody and Chris Martin’s vocals. It’s such a phenomenal song, and I still listen to it all the time. Also, Coldplay was also one of the first bands I followed closely, and growing up I remember watching so many of their music videos on MTV. So, when I saw that Unlike Pluto did a progressive house remix of Clocks by Coldplay I instantly became excited and eagerly pressed play. I’m also a huge fan of Unlike Pluto, and I’ve written about him before on his Lorde remix. He does an amazing job on remixes, so seeing Clocks by Coldplay and Unlike Pluto’s name next to it made me extremely happy. The build on this remix was phenomenal; it kept the melody of Clocks but also added a nice uplifting progressive build to it. Another thing I love about Unlike Pluto is that he always uses and adds a variety of instruments in his tracks. He seriously puts so much time and effort into every track that he produces or remixes. It’s always refreshing to see an artist be so versatile and unique instead of being a cookie-cutter big room house or cookie-cutter trap producer. The more and more I look at and listen to the Beatport 100, I realize that so many of the electro-house and trap tunes all sound so similar to the next one. You’ll never get that with Unlike Pluto. Another thing I love about him is his remixes always seem to be perfectly balanced; he always keeps enough of the original melody to please fans of the original track, but he also puts his own spin on it. Some artists change everything so the remix sounds nothing like the original and some artists do the opposite. I think it’s best when an artist takes original elements but balances it by adding their own sound to it. 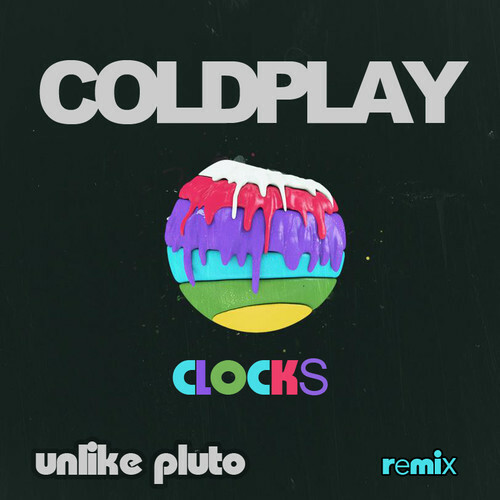 That’s exactly what Unlike Pluto did in this remix of Clocks by Coldplay, and the result is beautiful. You should definitely give this fantastic remix a listen. Plus, he’s awesome enough to give it away as a free download. Listen, snag the free download, and enjoy a remix of this Coldplay classic!